The image may be familiar, but even the simplest pins are not what they seam. They spring to life in your hand as you press the steel pin stem to release it from its fabricated catch, the sensory shock a delight that is just what Pat Flynn intended. Each one is different, and despite a certain preciousness creeping in with the use of gold, platinum, and, yes, a heart-shaped pearl, the individual designs still have something to say. They also represent the closest Flynn comes to narrative. 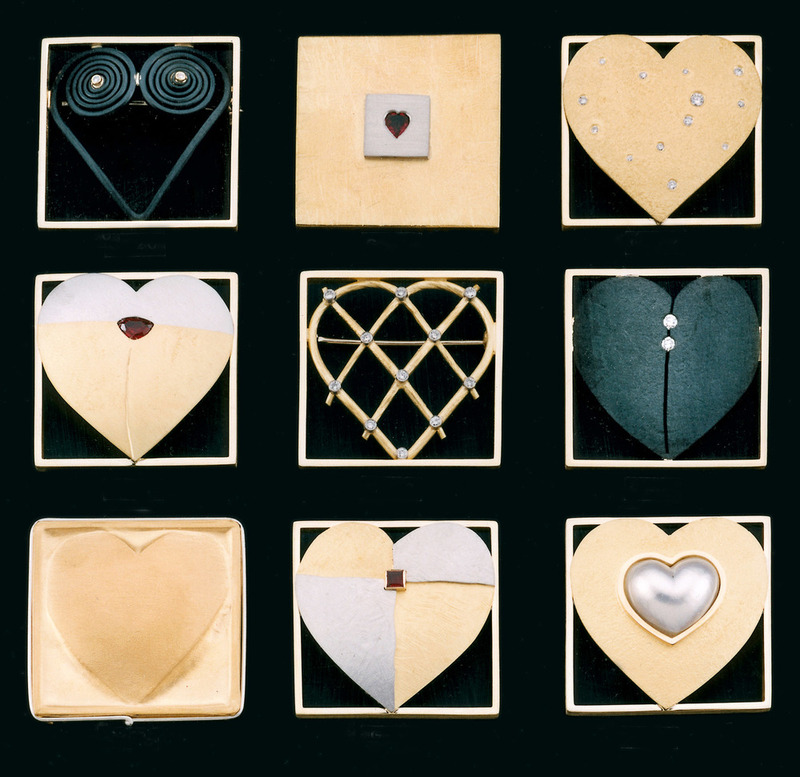 While the rest of his work is formal and modernist, the hearts have stories and titles. Susan is pierced with nails, Gate opens and closes with a working catch, like a miniature reliquary... A classic French chef's knife pierces one silvery heart "because most fights start in the kitchen." But some viewers see this as a dagger, or relate it to their own surgery...After decades in the public eye, the hear pins still provoke critics and public alike.